Atos: Special valves | Stern hidráulica, S.A.
Explosion-proof valves, on-off or proportional, for use in potential explosive environments for presence of gas or flammable dust. Solenoids are of original design, integral and consistent to the valves. 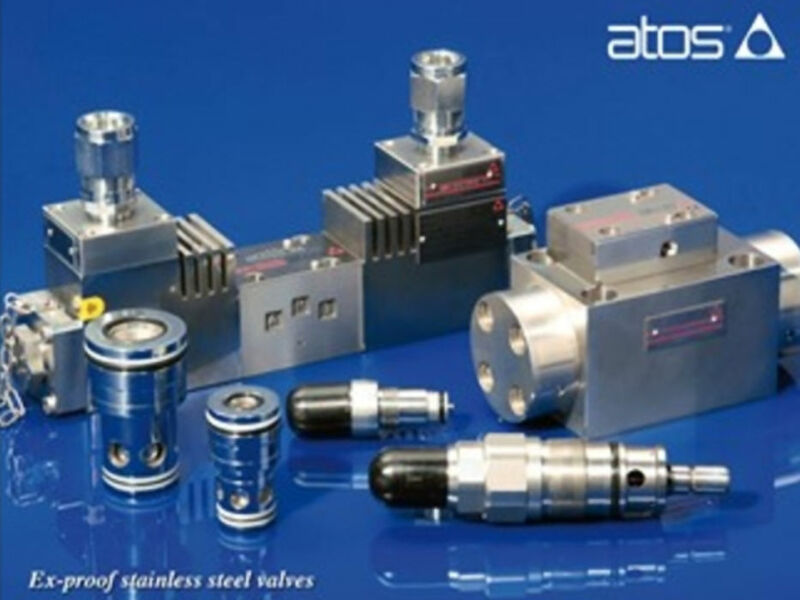 A new "X" line of directional and pressure controls, in stainless steel execution for corrosive environments and special fluids. Rugged inoxidizable design, suitable for use with mineral oils, water glycol, special syntetic fluids or just pure water. Leak free solenoid valves, subplate or screw-in, two-way, poppet style: normally used to cut off the hydraulic power supply line. Currently available in "normally closed" configuration, they open the flow when their solenoid is energized.